Owners of a full driving license can drive any type of car or small van, with a manual or automatic transmission on the road. 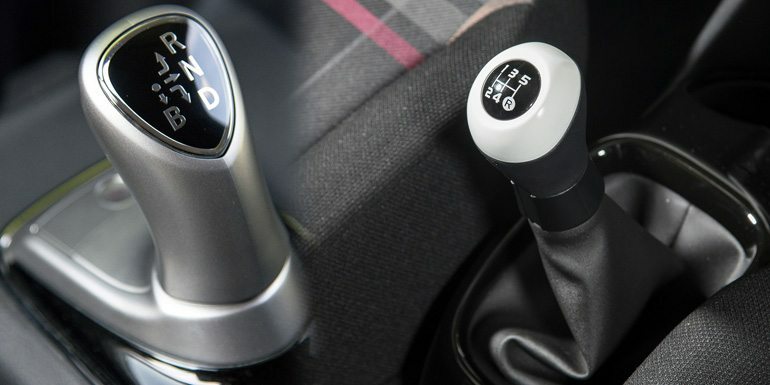 Owners of an automatic licence can only drive automatic vehicles, and it would be an offence for them to get behind the wheel of a vehicle with a manual gearbox. The advantages of taking an automatic driving course, and gaining an automatic license, are that these types of cars are easier to learn to drive. This is more the case for people who are learning to drive later on in life, or have struggled with learning with a manual car or have repeatedly failed their manual test in the past. Younger drivers are encouraged to learn with a manual car, for greater flexibility when it comes to choosing their first car. That is unless they need to pass the test quickly, or really struggle to cope with the demand of learning to drive a manual car. In which case it is considered easier and faster to pass with an automatic, a rule that can apply to anyone. While individual circumstances will vary, learning in an automatic should also save you money as it can reduce the number of lessons required to pass the test. Automatic cars are also the better learning option for those with disabilities, leg or joint problems and other issues that might see them struggle to drive a manual vehicle. For many people, they simply feel more comfortable driving in an automatic, which is a key part of the driving experience, so there is that to be considered as well. Learning in an automatic helps take the focus off constantly controlling the pedals and adjusting the gear stick, and allows the learner driver to focus on what is going on ahead of them on the road, and give them greater situational awareness. With both hands on the wheel and feet firmly in position on the brake and accelerator, it is easier to manage the car and learn the practical rules of the road that will help a driver pass the test. The main negative with an automatic car comes after passing the test. They are generally slightly less fuel efficient than a manual car, which can add up over time. Also, if something goes wrong, maintenance costs can also be higher than with a manual car. However, the majority of Americans and many other countries’ drivers learn and thrive driving automatics. The obsession with a manual car is something of a European thing, with no particular reason for it. Finally, there are a growing number of semi-automatic cars on the market. These see the driver select a gear using paddles behind the steering wheel, but there is no clutch pedal. For DVLA purposes, these vehicles are considered automatics when it comes to the driving test and for licensing purposes. Whatever your driving lesson needs, get in touch for the right advice on how you should learn to drive.